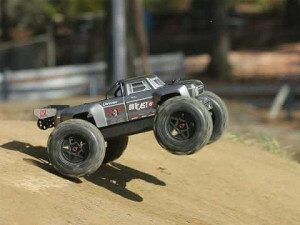 RC fans love jumps, backflips and wheelies. 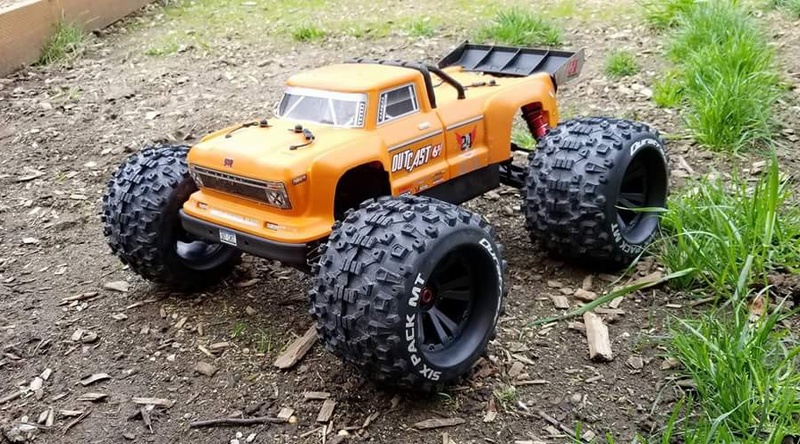 From the skate park to the local mud trail, there is nothing more satisfying than launching your bashing machine into a new trick attempt, then nailing it with a clean landing. 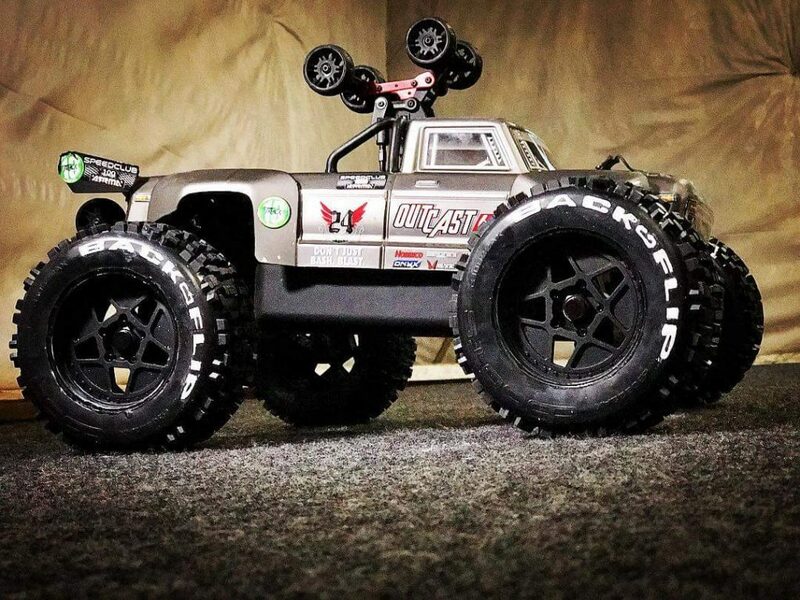 The OUTCAST 6S BLX Stunt Truck is made for these exact challenges. 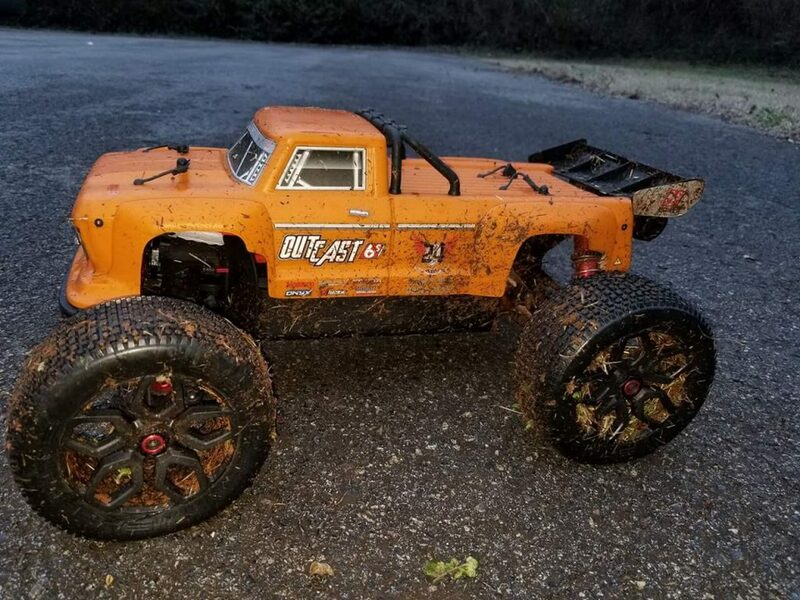 Based around an aggressive short chassis design, the OUTCAST 6S is compliant to the smallest throttle input, meaning you can easily get some awesome two wheel tricks on command. 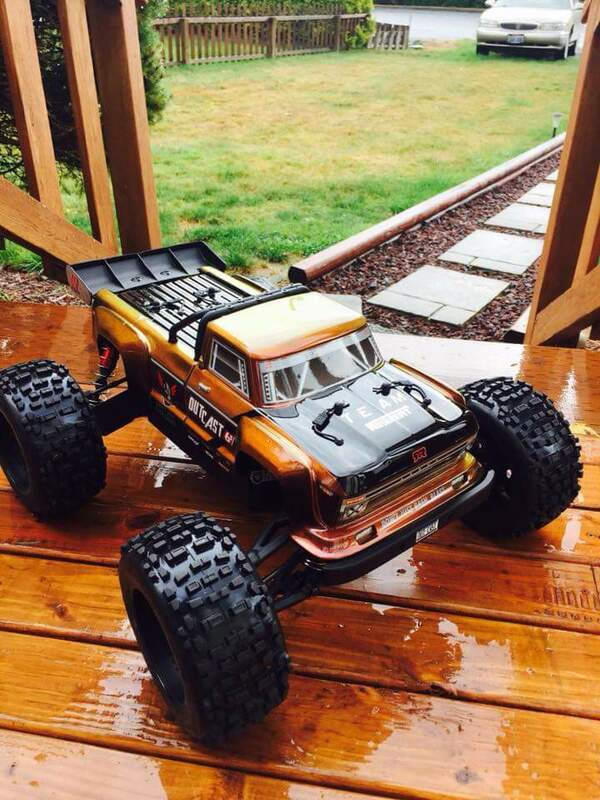 Beefy and super-durable parts make those heavy landings much easier, meaning you can power away from your stunting stardom, unleashing the BLX Brushless power system, to rip up any terrain. Watch your bashing friends turn green with envy when you roll the OUTCAST into view. 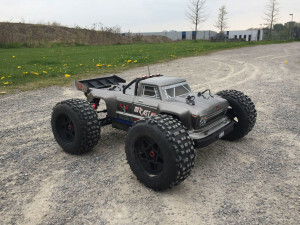 Stylish and dominating body shell looks are teamed with sharp scale details, such as realistic window and bumper decals, meaning you look fresh standing still and look mean upside down in the air. 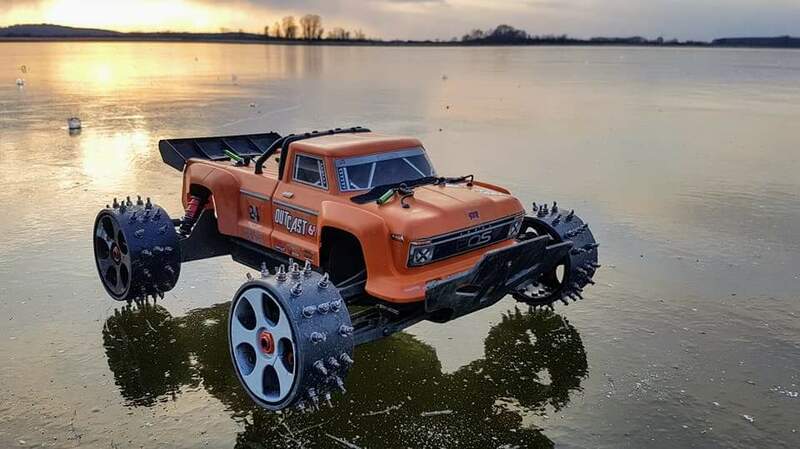 Waterproof electronics and multi-terrain tires mean you can attack any conditions with confidence. More power, more durability … More stunting. If you want to go higher, faster, tougher and crazier, then take on every jump and roll with a truck that means business. 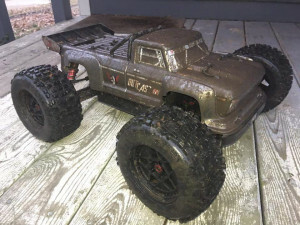 6S LiPo-ready and primed for wild stunting fun.